More than half of home burglaries take place between 6 a.m. and 6 p.m. because no one is home. 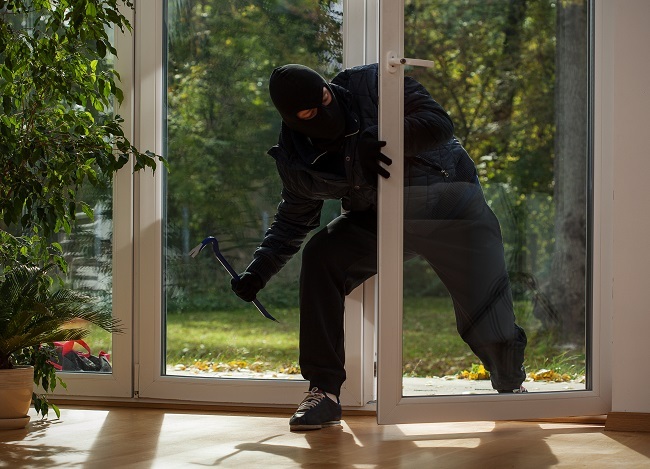 Burglars are aware that it is much easier and safer to break into a home when either no one is there or most people have left the house for their job or for work. Even though this time slot is during the day, there is a reduced risk of being seen. But if you have 24/7 customer support you can quickly call in if you have questions about one of your settings being triggered or there is unexpected activity in your home, and our trained professionals will be able to analyze the situation. Roughly one of every three burglars breaks into your house using the front door. Whether because the door was left unlocked or they can get a close up of your front door’s security measures by pretending to go door-to-door, even the most protected front door can be an entry point for a criminal. Because potential threats are getting acclimated to increasingly technological home security systems, it’s important to continue to have a human element to that support. No one measure in any home security system can completely dissuade criminals and potential thieves. This is why it’s best to customize your home security system with multiple different facets and types of both preventative and alert-based mechanisms, as well as 24/7 customer support to give you peace of mind that your system is working and that you have people on your side. If you’d like to learn more about Fort Knox Security Services, please contact us here.